DOC HOLIDAY as a Record Producer, he has produced artists such as "Herman's Hermits", "Big Al Downing", "The Kentucky Headhunters", "Doug "The Ragin' Cajun" Kershaw", "Ricky Lynn Gregg", "Gary Pine from Bob Marley's Wailers", "Jon Washington's Fortunes", "Jeffrey Steele","Narvel Felts", "Becky Hobbs", "Razzy Bailey", "Mel McDaniel", "Doug Dillard", JUST TO NAME A FEW, and has charted 600 plus records in his career with 97 plus records hitting the #1 spot in various charts worldwide. As a songwriter, he has had songs recorded by Ricky Lynn Gregg, Mel McDaniel, Big Al Downing, Jeffrey Steele, Doug Kershaw, JUST TO NAME A FEW. He is a former BOARD OF GOVERNOR member for The Grammy Awards, He is currently a SILVER AWARD VOTING MEMBER and JUDGE OF THE "TELLY AWARDS, A voting member of the Grammy Awards, Winner of the GOLDEN MUSIC AWARDS for Producer Of The year, CEO of Mega International records, A member of BMI and SESAC, and One Of The Original CREATORS OF THE SOUND OF ASBURY PARK, S.O.A.P. 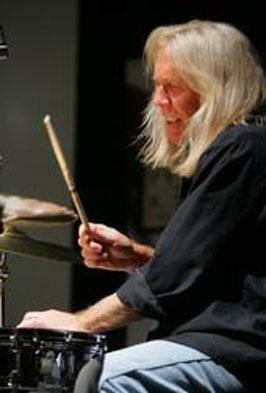 The majority of his notable credits are as a studio drummer. Since the 1970s, he has played on albums by other artists ranging from Steve Perry to Alabama to Kim Carnes to Flo and Eddie to Alice Cooper to Melissa Etheridge.As a songwriter, his biggest hit was with Steve Perry's "Oh Sherrie" (co-written with Perry, Randy Goodrum, and Bill Cuomo), which peaked at #3 on the Billboard Hot 100 chart. Besides "Oh Sherrie," Krampf co-wrote three other songs on Perry's Street Talk album, including "Strung Out", which made it to #40 on the Billboard Hot 100. He also co-wrote a song with Kim Carnes and Duane Hitchings�"I'll Be Here Where the Heart Is"�on the Grammy-winning Flashdance soundtrack. As a producer, his most notable credit is for co-producing Melissa Etheridge's 1988 self-titled debut (along with Etheridge, Niko Bolas, and Kevin McCormick). Ashley Cleveland's "Big Town" (1991, Atlantic Records), did not attain the same degree of commercial success, but Billboard included it on their list of "ten most overlooked albums of the year" Krampf also produced Disappear Fear's self-titled album (1994, Rounder Records). Garry W. Tallent, is an American musician and record producer, best known for being the longtime bass player in Bruce Springsteen's E Street Band. Growing up around the Jersey shore, Tallent took up first the tuba and then the bass. He was influenced by James Jamerson, Donald "Duck" Dunn, and Paul McCartney. 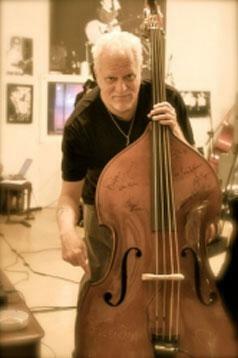 He started playing with Springsteen in 1971 in two earlier bands and then was an original member of the E Street Band. Both visually and musically he stays in the background; his most notable bass parts may be on the song "Fire" and the last verse of "Incident on 57th Street". During the E Street Band's early years, he occasionally played the tuba on some of Springsteen's quirkier early songs, both in concert and on record (most notably "Wild Billy's Circus Story"). 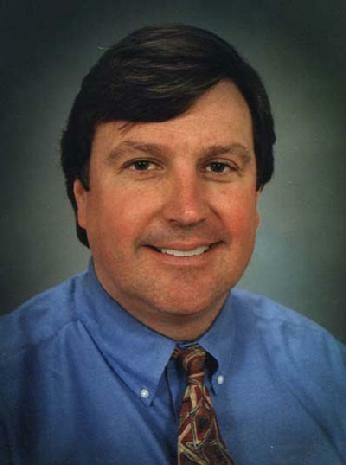 Dave grew up in Hawaii, moved to Nashville in the early �80�s. Dave has played with some of the coolest folks in this business we call show, Jerry Reed, Charlie Louvin, Mel Tillis, Chet Atkins, Dottie West, Vern Gosdin, Kathy Mattea, Vince Gill, Duane Eddy, Faith Hill, Lee Roy Parnell, Malcolm Holcomb, Rick Vito, Rosie Flores, Billy Burnett, Gary Nicholson, Colin Linden, Whitey Johnson. In the early �90�s, I was recommended to the Great Johnny Cash, who hired Dave to play in his band, the Tennessee Three. After Johnny passed away, Dave toured and did some recording with the Great Dwight Yoakam. Dave also recently played on the Great John Mellencamp�s record, No Better Than This, which was produced by the Great T Bone Burnett. 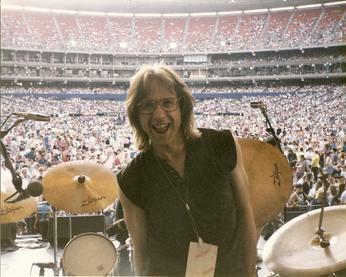 A professional musician in Nashville since 1976, Pat Severs� first years were spent working the road with artists like Narvel Felts and Charlie Rich. From 1980 to 1987, he toured and recorded with the great Eddie Rabbitt. After, Pat worked mainly in the studios in Nashville playing on sessions for artists like Billy Dean, Johnny Lee, Rob Crosby Waylon Jennings, Vern Gosdin and others. Much of his recording career has been in music for television, recording with great singers like Anne Murray, Donna Summer, Johnny Cash and Don McLean. 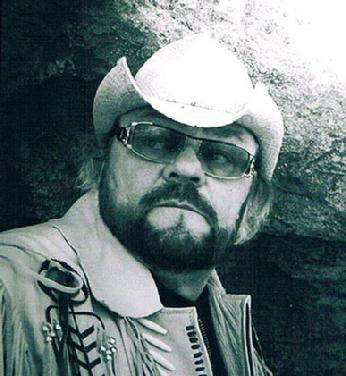 In the early 1990s, Pat was a founding member of the Capital Records group �Pirates of the Mississippi�, and played on many hits with them including �Honky Tonk Blues� and �Feed Jake�. 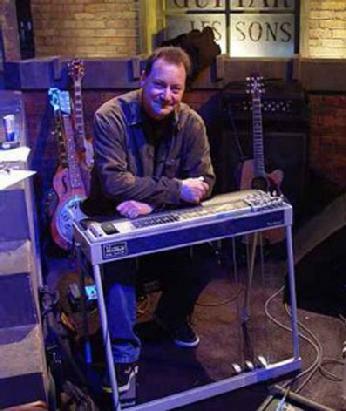 In 2005 Pat had the honor of playing on a UK tour with the legendary Everly Brothers, working with great players like Pete Wingfield and Albert Lee. Pat has stayed busy working on TV shows like Nashville Star and a Larry the Cable Guy TV special, backing artists like Sara Evans, Trace Adkins, Billy Currington and Hank Williams Jr.
Born in Los Angeles, Over the next several years, Horn found himself in the studio with such stellar names as Joe Cocker, The Mamas And Papas, Leon Russell, Delaney & Bonnie and Rita Coolidge, Ringo Starr, Lionel Ritchie, The Beach Boys, Jackson Browne, John Lennon, Linda Ronstadt, Barbra Streisand, and Joni Mitchell. It's Jim's flute solo, for example on Canned Heat's "Goin' Up The Country". The distinctive horn parts on the Grammy winning Fifth Dimension hits "Up, Up and Away" and "The Age of Aquarius" are likewise Horn's handiwork. Others include Frank Sinatra's "Strangers In The Night", Elton John's "Little Jeannie", Toto's "Rosanna", Leon Russell's "Lady Blue", Smokey Robinson's "Tears Of A Clown", Neil Sedaka's "Laughter In The Rain", and Ronnie Milsap's "Lost In The Fifties Tonight", and the beautiful intro oboe solo on Karen Carpenter's smash hit "For All We Know". Horn has also recorded with The Rolling Stones, Steely Dan, Roy Orbison, Diana Ross, Stevie Wonder, Tina Turner and all four Beatles on their solo records. All his credits are too numerous to list. 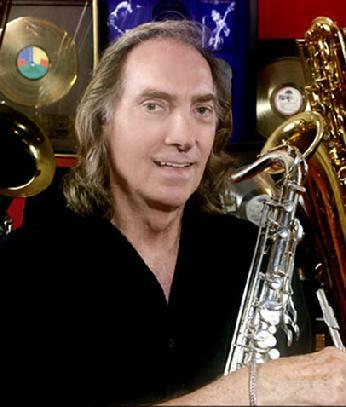 To date, Jim Horn is the most recorded sax player in history. 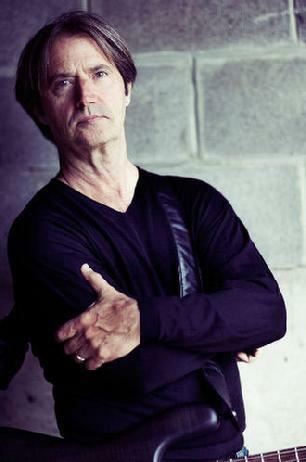 DALE HERR is an active and versatile producer, composer, arranger, music director and session guitarist. In 2005, HERR did the original orchestrations for the Broadway production of �Ring Of Fire�, the music of Johnny Cash. He recently performed with Little Anthony and the Imperials for their Rock �N� Roll Hall Of Fame induction. 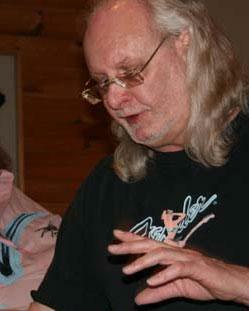 Bobby Bradley started engineering recording sessions in 1971 at the legendary Bradley's Barn. During that time working with The man they call "The Architect of Country Music" Country Music Hall of Fame Producer Owen Bradley, and his Uncle also in the Country Music Hall of Fame Harold Bradley, Bobby would work with and record Merle Haggard, K.D. Lang, Willie Nelson, George Jones, Vince Gill, Marty Stuart, Travis Tritt, Alan Jackson, Dolly Parton,Tammy Wynette, Leon Russell, Keith Richards, Johnny Cash, Elvis Presley, Waylon Jennings, Art Garfunkel, Crystal Gayle, George Clinton and Parliment Funkedelic, George Strait, Mel McDaniels, and Doug Kershaw just to name a few. It was back in the mid 80's when Bobby first met and worked with producer Doc Holiday at Bradley's Barn and Doc Holiday's Legendary "A" team would be formed. 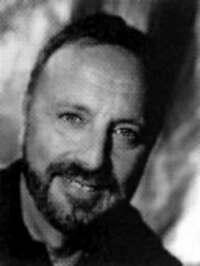 Bobby has worked on the movies "Coal Miners Daughter", and "Sweet Dreams" as well as other movie soundtracks. Turning a hobby into a 40-year career, Bill signed with Warner Brothers in 1975, Cuomo penned his first European radio hit, Sally Ann, for his band, Bonaroo. Afterwards, he began turning demos into “magic” starting in 1979 with Kim Carnes single, More Love, & Record of the Year Bette Davis Eyes in 1981. Other bands followed such as Smokey Robinson, REO Speedwagon, Starship, Stevie Nicks, Henley, Taylor, Streisand, Whitesnake, etc. Cuomo also turned his keyboard and arranging talents into songwriting, beginning with Steve Perry, penning and playing on mega hits including Oh Sherrie. 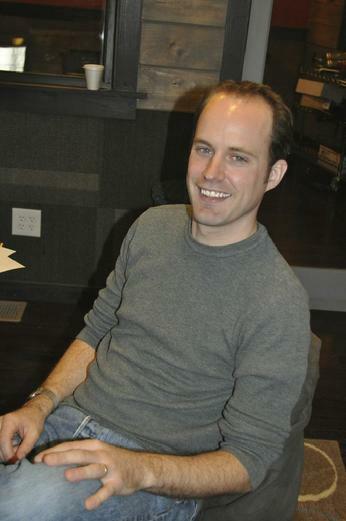 Sandy Tipping is a founding member, and record producer for Advantage Music Production. He specializes in project management for the recording division of AMP, as well as composition & arranging, studio engineering, and some track editing. On many recording projects he can be found playing piano & keys. Originally from Ontario, Canada, Sandy attended Berklee College of Music in Boston, MA where he double-majored in Music Production & Engineering, and Music Education. After graduating, Sandy moved to Nashville, TN where he continued his career as a professional piano & keyboard player. Touring, playing on commercial recording sessions, and working as a pit keyboardist for various Broadway shows was just the beginning. A veteran concert promoter for over 30 years, Bill has made a mark in the music business with his creation, development and management of eight well-known live music venues. Having drawn from his vast experience with the music touring business working with artists like U2, Garth Brooks, Bruce Springsteen, The Black Eyed Peas and Lady Gaga, to just name a few, Bill has taken that learning curve into the recording studio. This experience has helped him give a unique creative perspective to the recording process and the ability to help develop the necessary business plan that follows every record release. Many music observers claim that the recording business would be a lot healthier if more concert promoters, because of their experience with live acts, got more involved in the recording business. Bill�s recording credits include; executive producer of the Rhino Records release of Left Wing Fascists, Kyle Davis� N2K�s � Raising Heroes �, both artists having been originally signed to Bill�s label, Cellar Door Records, as well as contributing as a co-producer to Doc Holiday�s Mega International�s releases of Country Reggae (featuring performances by Ricky Lynn Gregg, Jeffrey Steele, and Gary Pine), Doug Kershaw�s �Clash Of The Cultures� (featuring performances by The Kentucky Headhunters, Becky Hobbs, Doug Dillard and Razzy Bailey), Mel McDaniel�s final career album �The Last Ride� and Co-Producer of Native American Music Award Winner (NAMMY), Red Hawk�s album "Chief Seattle Speaks ". Bill has also won a "TELLY" award for the music video "Jamaica" performed by Wava.